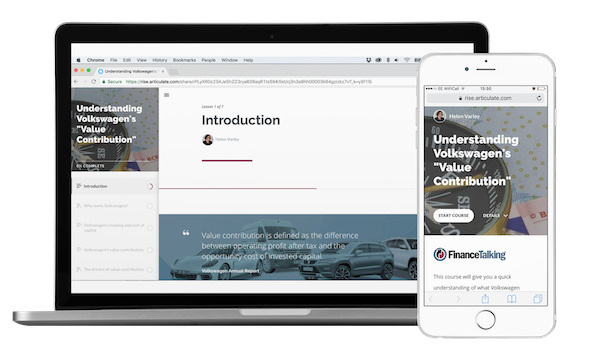 This course will give you a quick understanding of what Volkswagen means by "value contribution". Along the way we will look at Volkswagen's ownership, funding and what investors want from their investment. Then we'll look at the levers of value contribution so you can see how these drive Strategy 2025. Finally, we'll think about how value contribution should influence your day-to-day business decisions.